Just a few sample shots up here for a few days while we organize things. 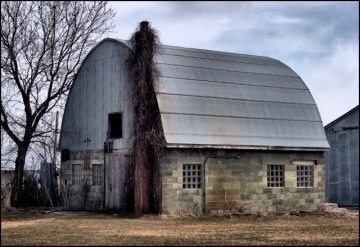 A green barn, unusual. And with a chimney with lots of vines growing from it. This should be a real ‘green’ barn when the leaves come out on the vines. A red and blue barn. I’m sure the flowers in the ‘planter’ in the foreground are plastic. 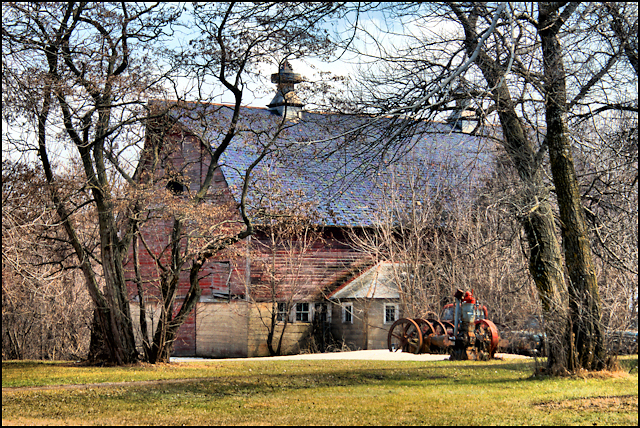 First shot this year with green grass. 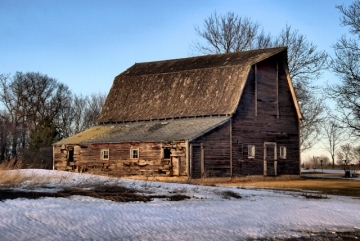 Another barn to use on the geotagging/map page.